Because pumpkin recipes can often be so wrong, you need a list of when they are so right. 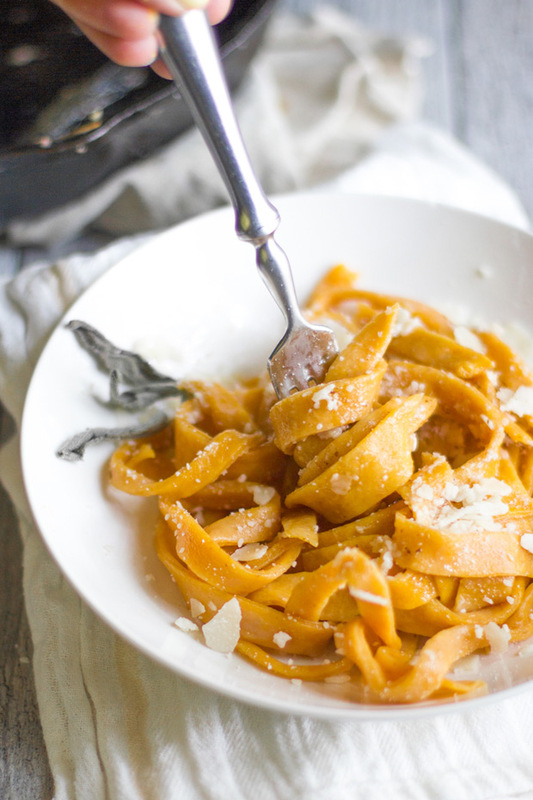 A hit-list of recipes to have in rotation for peak pumpkin (and winter squash) season. Emphasis on dinner, emphasis on savory. Six ingredients stand between you and this favorite ginger-chile kissed pumpkin soup. Served over rice it makes the perfect simple, soul-warming meal. Get the recipe here. 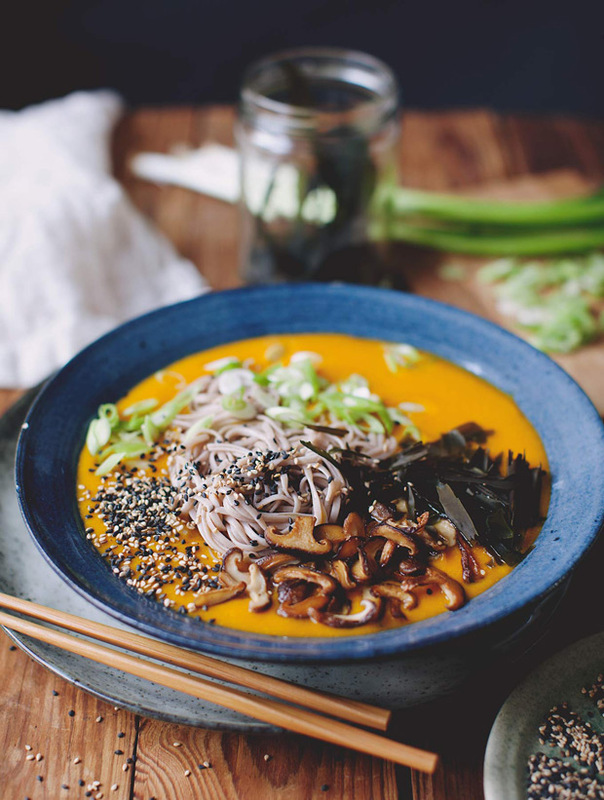 Soba noodles in a pureed pumpkin soup flavored with miso and ginger. Top with lots of scallions, sesame seeds, seaweed (I like toasted nori, crumbled), and sautéed (or roasted) shiitake mushrooms. Or you can simply make the base soup and top with whatever you have on hand. Get the recipe here. Use whatever pumpkin or hard winter squash you've got, cut into thick slabs. Kale represents big here accented with hazelnuts, pickled onions, and cilantro. Get the recipe here. 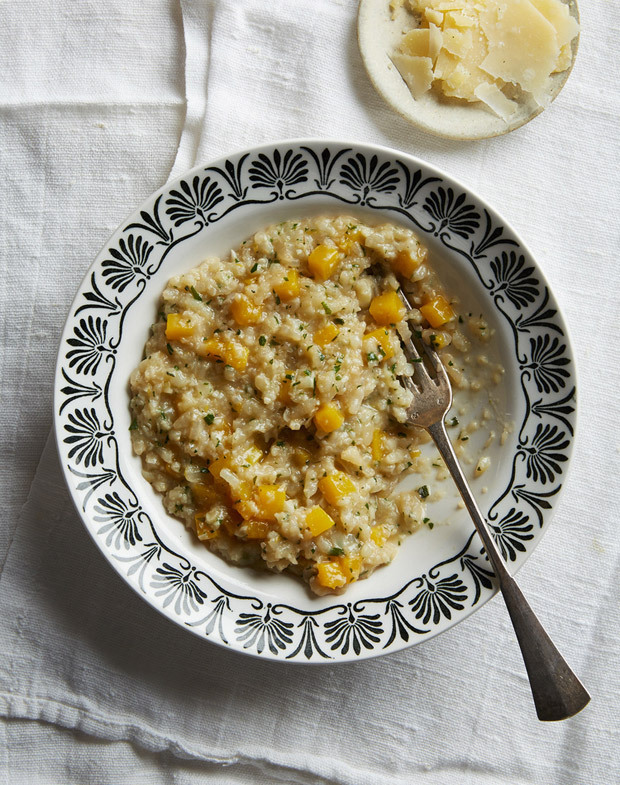 A beautiful autumn risotto made with pumpkin, cauliflower, and sage. You can up the veg even more, and, on occasion I'll even boost a risotto like this with a good amount of shredded kale. Get the recipe here. If you're open to alternative interpretations of pizza, this is a beauty. 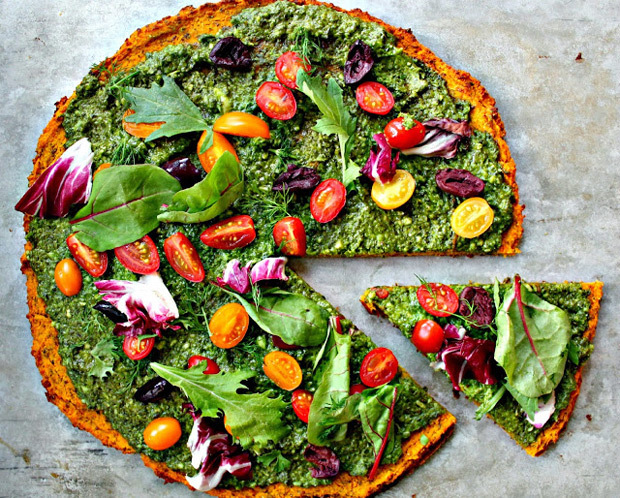 The "crust" is a riff on the popular cauliflower crust, this one made with pumpkin (or winter squash) slathered with a basil-spinach nut sauce, and topped with vibrant cherry tomatoes or other seasonal veg. Get the recipe here. Making fresh pasta when I have a lazy weekend afternoon, is one of my favorite things. 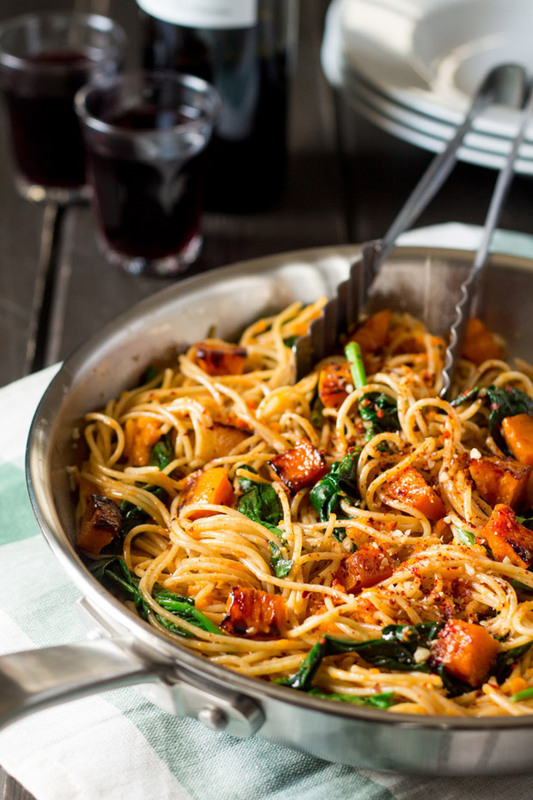 This Pumpkin Pasta caught my attention. Get the recipe here. 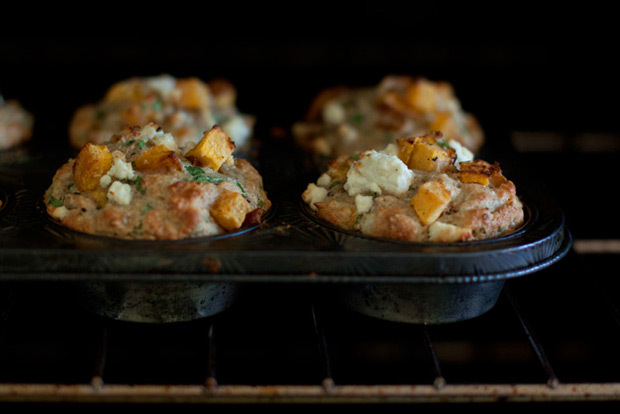 These are a super interesting, hearty beast of a savory muffin. Packed with seeds, spinach, herbs, and seasoned with mustard, you can use any winter squash. Get the recipe here. If I can't be bothered to carve and cube an actual pumpkin or squash for a recipe like this one, I grab for a bag of frozen sweet potatoes. They're pre-cubed, and I always keep a couple bags in the freezer for lazy weeknights. Alternately, you might carve a number of pumpkins or squash on your own, and freeze any you wont be using. Being nice to your future self! ;)Get the recipe here. 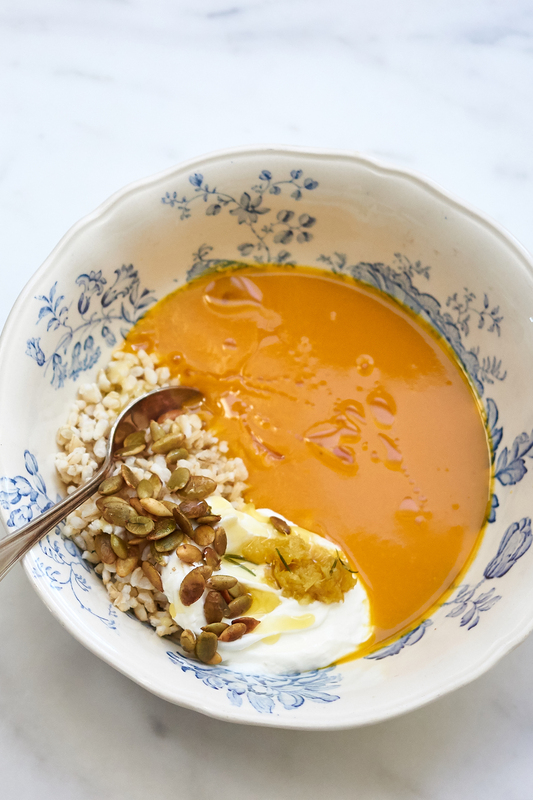 If breaking down a big pumpkin or squash fills you with dread, this is your recipe. A longtime favorite, it calls for thin-skinned delicata squash, and you leave the skins on. 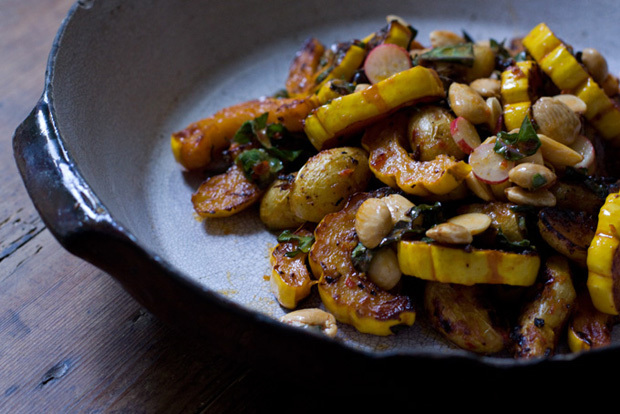 Tossed with a miso harissa paste, roasted and combined with potatoes, kales, and almonds. Give this one a go for sure. Get the recipe here. 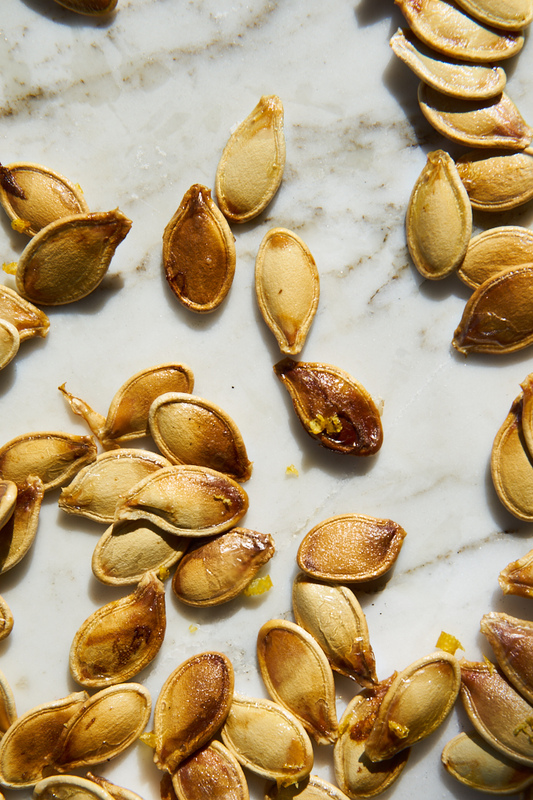 While you're at it, if you're cooking with pumpkin, you might as well toast the seeds. It's simple and you can season them a bunch of different ways - I've included three faves here. Get the recipe. Homemade tortillas are a taco night game-changer, and so so so fast and easy. Not just for salads, blender dressings are the best. Use these dressings on grain bowls, inside spring rolls, spread on sandwiches, and spooned onto tacos. Enjoy! Today we're going to tackle great vegan ramen. Vegetarian or vegan ramen can absolutely be as good as its meat-based counterparts. You introduce your favorite noodles to a rich, miso-scallion nut-milk broth. 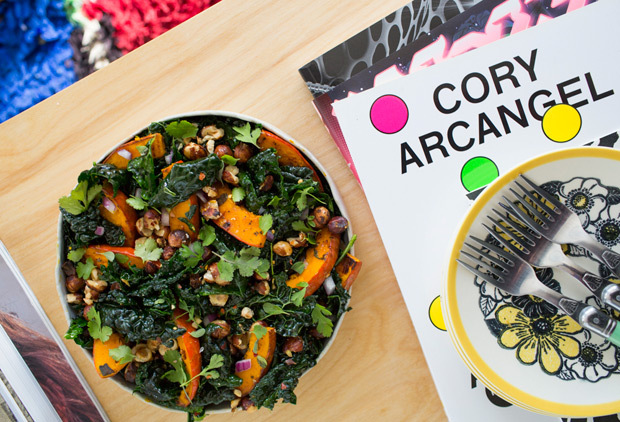 Add a blitz of seasonal toppings, and spicy turmeric oil to finish.